Harness the power of Adobe Photoshop and discover all the fun and practical techniques you can use to perfect your photographs for almost every creative project. Create designs and enhance photographs, including websites and mobile apps, 3D artwork, videos and more. If you don’t already believe what a photograph shows you now, then after attending our Adobe Photoshop training course, you never will. Our fun-packed Introduction to Photoshop course takes you step-by-step through the techniques that the design agencies and professionals use and don’t want you to know. By the end of the day, you’ll want to get back to work and start amending all your photographs! 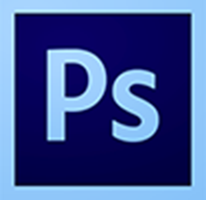 2 Day Introduction Adobe Photoshop £390.00 Discounts are available for 2nd & 3rd delegates and Group bookings. File formats – Which do you need?